April, 1945. 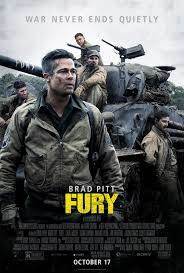 As the Allies make their final push in the European Theatre, a battle-hardened army sergeant named Wardaddy commands a Sherman tank and her five-man crew on a deadly mission behind enemy lines. Out-numbered, out-gunned, and with a rookie soldier thrust into their platoon, Wardaddy and his men face overwhelming odds in their heroic attempts to strike at the heart of Nazi Germany.